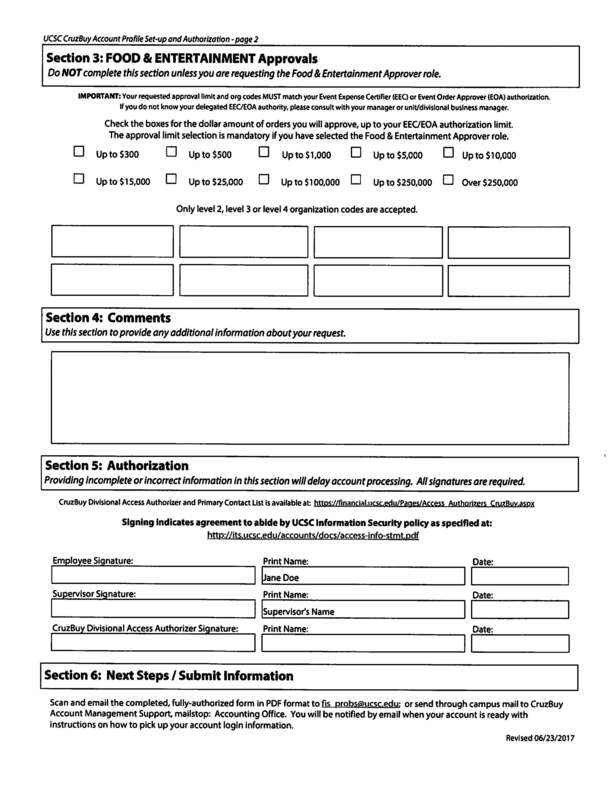 CruzBuy Accounts allow the holder to use the CruzBuy system at UCSC. Classes teaching how to use CruzBuy are offered to all UCSC faculty and staff. The business office highly recommends individuals take advantage of this resource. It is a requirement for CruzBuy Account access, but can also be taken again if an individual wants a refresher on how to use CruzBuy. CruzBuy 101 classes are offered 2-3 times each month. Classes are "hands-on" and cover CruzBuy basics, including shopping, checkout and profile set-up. All classes are 9:00-11:30. In addition, open labs are offered on Kerr Hall training dates between 1-5 pm at Kerr Hall, Room 8 (drop-ins welcome). Click here to register. Please note, CruzBuy 101 is limited to eight people per class - no walk-ins or late arrivals. If you need to cancel, please email Procurement & Supply Chain Services. 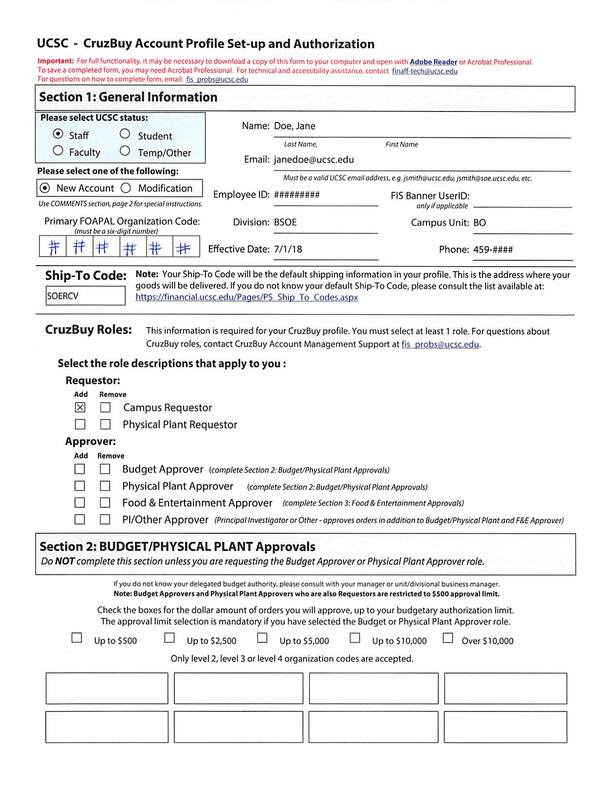 Here is a sample CruzBuy Account form to be completed and signed by both you and your supervisor to be submitted to the Business Office for processing.